Las Vegas - no rules, no boundaries, everything goes! Experience the colourful life in Las Vegas and party hard! 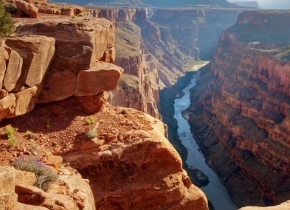 For a more quiet and thought-provoking activity, visit the Grand Canyon. View this powerful and majestic landscape with your own eyes, admire its breath-taking views and take a break from your usual hectic life back home.